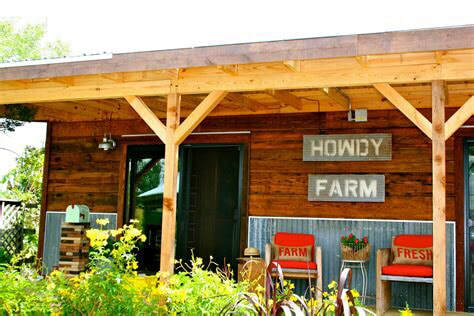 The Howdy Farm is a student-run organic, sustainable farm on the campus of Texas A&M University. Our mission is to grow healthy food and community, and to connect the two through experiential learning, interdisciplinary research, and promoting sustainable agriculture. Due to the high demand we are receiving for volunteer opportunities we have changed our volunteer policies. We will now be accepting volunteers on a sign-up basis only. To learn more about our volunteer opportunities and/or to sign-up, please visit our volunteer page. We sell our produce at the Brazos Valley Farmers' Market on Saturday mornings from 8 AM - 12 PM. The market is located at 500 N. Main Street near downtown Bryan. ​We also sell at "The Local" Farmer's Market at Lake Walk every Tuesday from 4-7 PM. 4250 S. Traditions Drive Bryan, TX 77807. We are located on the west campus of Texas A&M University, directly behind the Horticulture and Forest Sciences building. Paid parking is available at West Campus Garage and Lot 74, right next to the farm. A map is available here. Do you provide tours or field trips? We love giving tours and educational field trips! However, we are busy farming so these are given on a first come first served basis depending on our schedule. Please contact us here for more information.